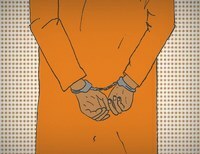 Probation shouldn't be ignored: It's used too often and sets up too many people to fail. Last week, Shaila Dewan had a brilliant story in the New York Times about how probation sentences set people up to fail: Probation May Sound Light, but Punishments Can Land Hard. The article follows a woman who was arrested for drunk driving, her first offense of any kind, and whose life entered a very expensive spiral, including the loss of two jobs and having to pay almost $4,000 in fees, fines, and court costs and $2,000 to post bail. In addition, she was forced to spend 34 days in the dirty, dank, dangerous and disgraceful Baltimore jail simply because she was unable to find attendance slips from her required A.A. meetings, and she could not afford another $2,500 bail bond to get out of jail time. Because many people on probation fail to meet the conditions of their community supervision, probation often isn’t the alternative to incarceration it’s made out to be. The harm of probation would be important even if probation were rare; but more than half the people under correctional control are on probation. 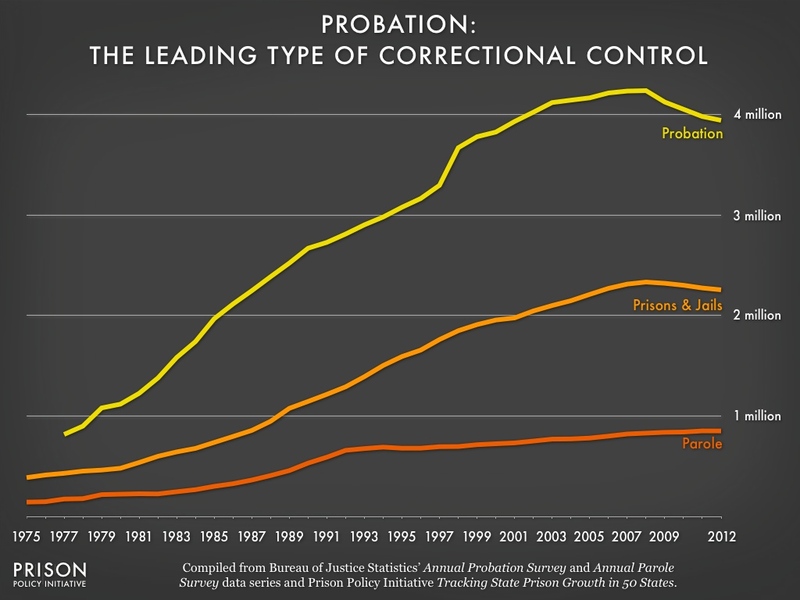 Since the beginning of the statistics almost 40 years ago, the probation population has grown much more quickly than either the number of people on parole or the number of people in federal, state and local prisons and jails. 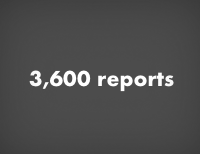 While about 2.3 million U.S. residents were behind bars in 2012, almost 4 million residents were under probation. Like imprisonment, there is tremendous variation between the states on the use of probation, but these differences aren’t parallel. 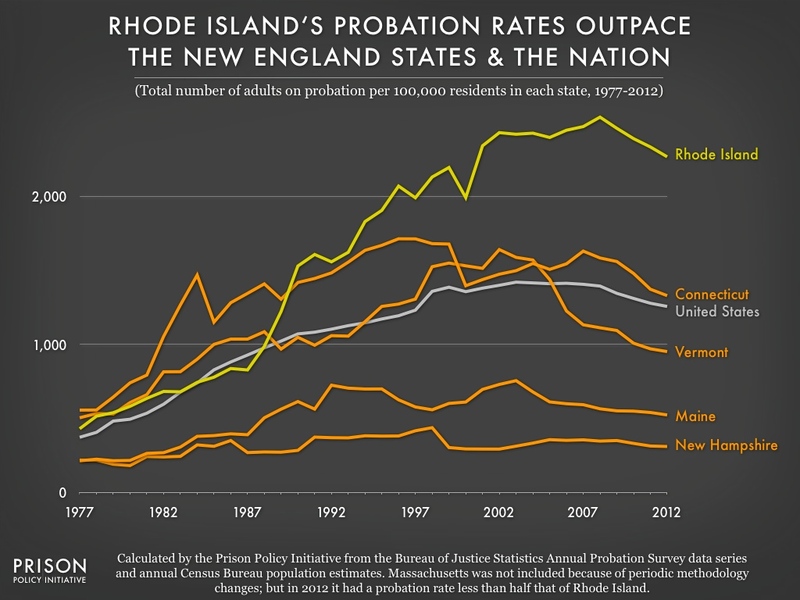 For example, Rhode Island has the 48th highest incarceration rate, but the third highest rate of probation. As the Council of State Governments’ Justice Center has shown, Rhode Island’s probation sentences are 53% longer than the U.S. average, and it’s one of 14 states that doesn’t cap how long probation sentences can be. 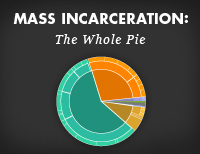 (Thirty-two states have limited probation sentences to no more than 5 years.) Further, the Justice Center says that they have anecdotal evidence that probation isn’t being used as an alternative because “a large portion of felonies receive split sentences” that include both prison and probation.